There will be No charge for visiting. We serve domestic to overseas moving. Yes,we collect disposals at same time and we also have recycle company. Basically we are not responsible for moving animals and plants.We are able to carry plants on one condition. We won't carry cash,credit cards,jewelries,hazardous/gund and explosives. Please inform us if you own antiques and painting worth over 300K yen. Please be there to make sure your moving is going all right. If you cancell or change moving date with in 2days before moving day,there will be a cancellation fee. Please contact us about the cancellation fee.Please pay for packing materials if you already used to pack. We serve piano shifting,multiple electrical work,internet setting up,furniture repairing,house cleaning,painting hanging and lot more. Please pay by cash on the end of moving. In case of damage and accident,your household items and proprty are covered by our insurance company.Max amount is up to 5 million yen. There are some items our insurance do not cover.Please confirm the terms and conditions before booking. Please contact property managing company or front desk as soon as possible to prevent overbook movers. Highrise apartments takes much more time and work.Some property might need moving reservation in advance. Please inform us how big your property,moving date and numbers of your family.Also giving us what is the priority for the move and requests,will make our moving proposal better. We can give you rough estimate.Please understand moving price will change by dates and condtions of location. Our highly trained teams offer quality responsible service and always aim best to ensure efficent moving. We aim to be reliable company through taking care of your personal information correctly by upholding the Personal Information Protection Law of Japan. It's prohibited by the transportation law.Please move to new place by yourself. 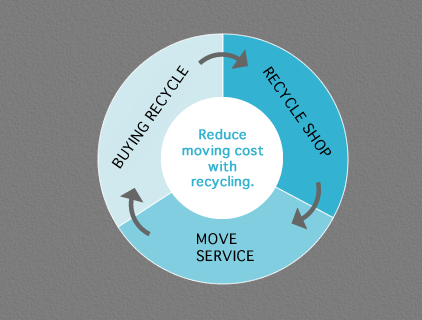 MISSION MOVERS can offer you buying recycle items and reduce moving cost or can help disposing by reasonable price. 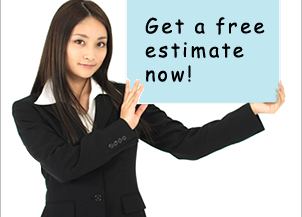 Call us for free estimate. COPYRIGHT(C) MISSION MOVERS ALL RIGHTS RESERVED.